​Star agent Mino Raiola has claimed all is well between his client Paul Pogba and under fire Manchester United boss Jose Mourinho. The pair's relationship has reportedly been on the rocks this season, perhaps playing some part in United’s inconsistent form. 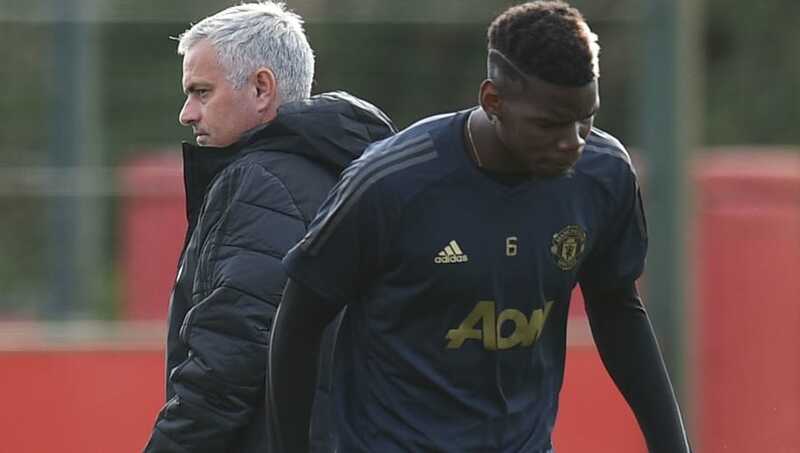 Pogba is believed to be unhappy with the role Mourinho is ordering him to play, and has hinted at a return to Juventus ahead of the winter transfer window – but Goal quote Raiola backing the midfielder to remain in Manchester for now. The club has publicly denied the rift, but Pogba was stripped of his vice-captaincy and dropped from the first team earlier this season. The Frenchman has also hinted that he cannot say how he truly feels about the situation due to media restrictions placed on him. Rumours intensified after the pair were filmed by Sky Sports having an altercation on the training ground. It led to reports that the World Cup winner was angling for a move away, with the player himself dropping more hints by claiming Turin 'will always be his home' as the two sides met in the Champions League this week. Pogba left Manchester United for Juventus before, only for the Red Devils to stump up a world record fee to lure him back four years later. Some would argue Pogba has never repaid that fee, with inconsistent shows of brilliance since his return to Old Trafford. It is manager Mourinho who is under more pressure though, after his side began the season poorly and are left playing catch up in the title race. The fractured relationship has threatened to force the club to act one way or another, but Raiola has claimed that is no longer the case.